Hey FM is it ok if you do a video on this song? I heard it the other day and really want to learn how to play it. I like that one too but I haven't found any sheet music version that I am particularly fond of. Which version was it you heard? I have heard of 2 versions but have only found 1 version of sheet music for it.It is an easy version but i still have trouble with some of the parts. We used to play that when I was in a fife and drum corps. Having a hard time imagining it on a violin/fiddle so I hope someone posts a video. I found a couple, but this is solo with no accompaniement. Good idea. 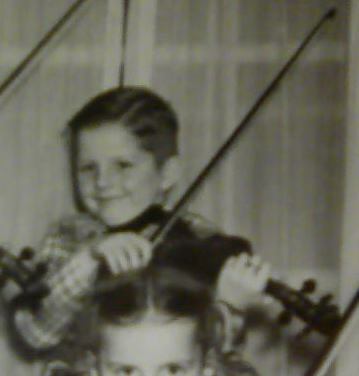 We used to play that with our group "Electric Fiddlers" and did it some projects we used to do with young orchestras. Now I'm on a quest to find the sheet music. Thank you. This one will take some time to play but I like the challenge. Thank you Pierre! Quite a challenging piece but something to learn one bit at the time! Anyway we learn nothing when it's easy eh? This is the version I found. It's quite different and very simple. The link doesn't work Kevin! Kevin-Thats the same website i found the easy version on but i get confused sometimes because of the piano music that is with it too. I tried it too and it may be available later but here is another and I'll put them into finale and relist them for you. I like that one better kevin. The 8notes version is one of the ones I found and didn't like. I prefer the FM version even though it will take some work to learn. Thanks for putting it up, FM! I play this but can't wait to get home from work and try this version of it as well.